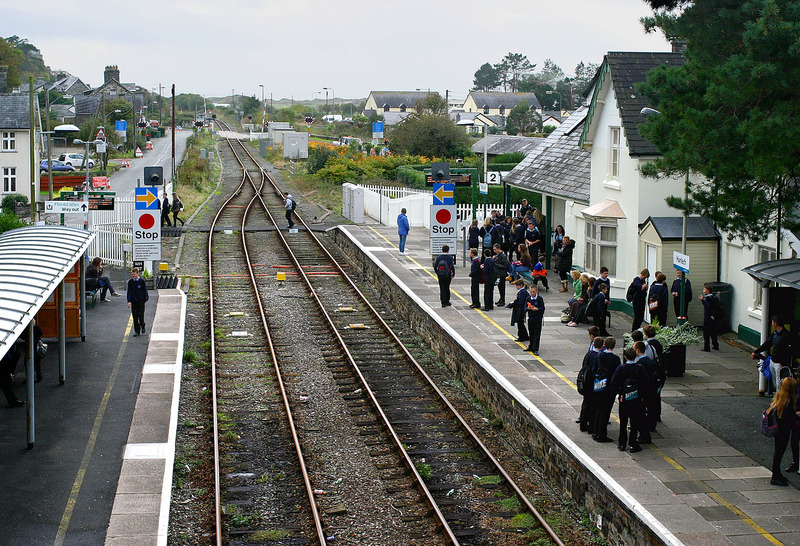 Harlech station provides a crossing point on the otherwise single Pwllheli to Dovey Junction line. Consequently there are relatively busy periods when two trains arrive, during what is a fairly infrequent train service. This is especially so when the schoolchildren come out of school! Children swarm all over the station on 20 October 2014, prior to catching either 158821 or 158830 with the 2J11 10:09 Birmingham International to Pwllheli Arriva Trains Wales service or 2G55 13:38 Pwllheli to Birmingham International respectively.